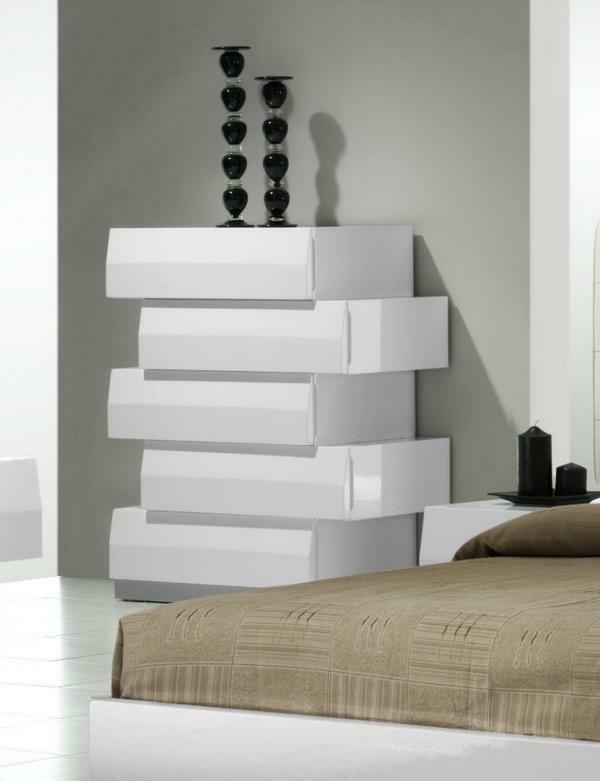 Choose a chest of drawers that comes in white. 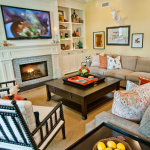 It will add class to a décor, while providing valuable storage space. Use it to complement a décor or as an accent piece. If you are looking for inspiration, you can find some here. We brought you ten stylish white lacquer chests of drawers in a variety of styles. 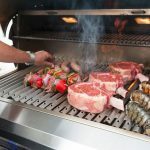 Browse through them and find the one that suits you best. A cream white beauty that will fit any décor. 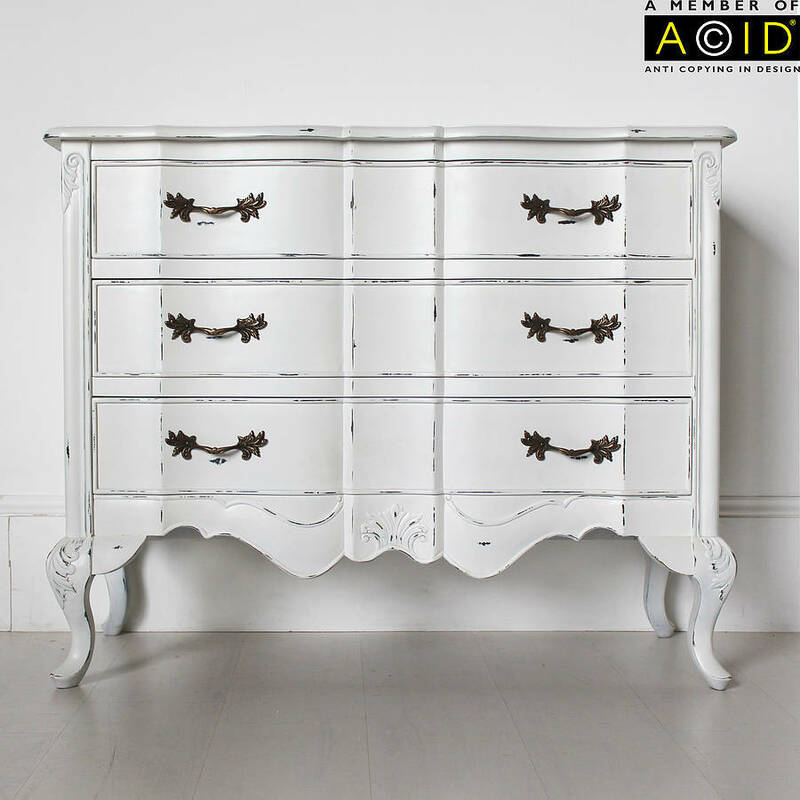 This white lacquer chest of drawers is made out of reclaimed wood. It has antique flip up handles for that genuine vintage look. 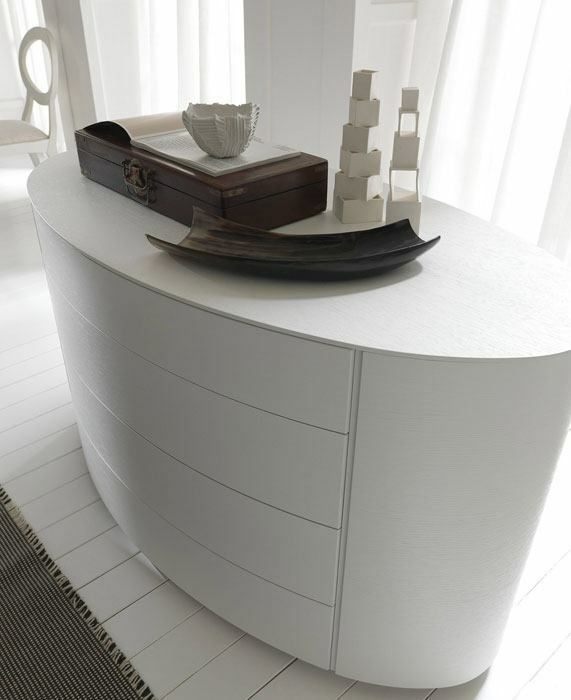 Through its graceful curves, this white lacquer chest of drawers inspires femininity. Its soft design is interrupted by ripples. They give depth and interact with light in a beautiful way. This chest of drawer’s intricate carvings add a touch of elegance and sophistication to its overall design. The chest is finished in a distressed wood for that perfect vintage or shabby chic look. 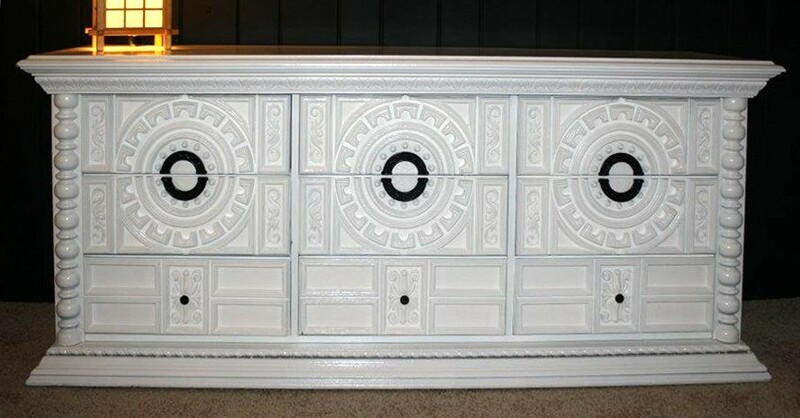 A piece of furniture that comes in pure white for your delight. 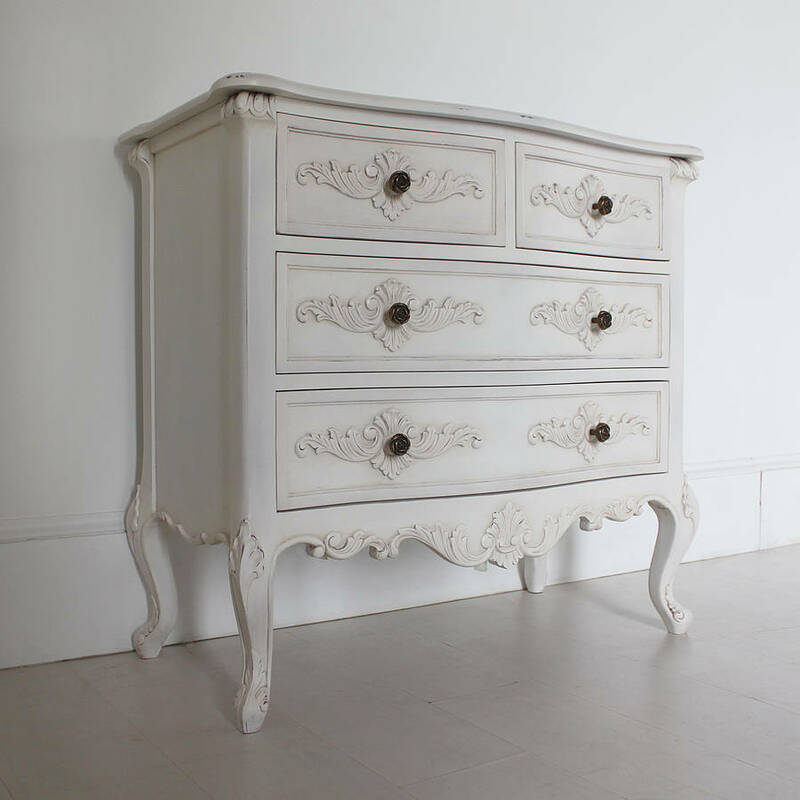 This Provincial style chest of drawers entices through its overall simplicity, contrasted by its interesting wavy carvings. Characterized by a minimalism, this contemporary white beauty attracts through its “less is more” look. You can take it out of the bedroom and use it as a TV table. 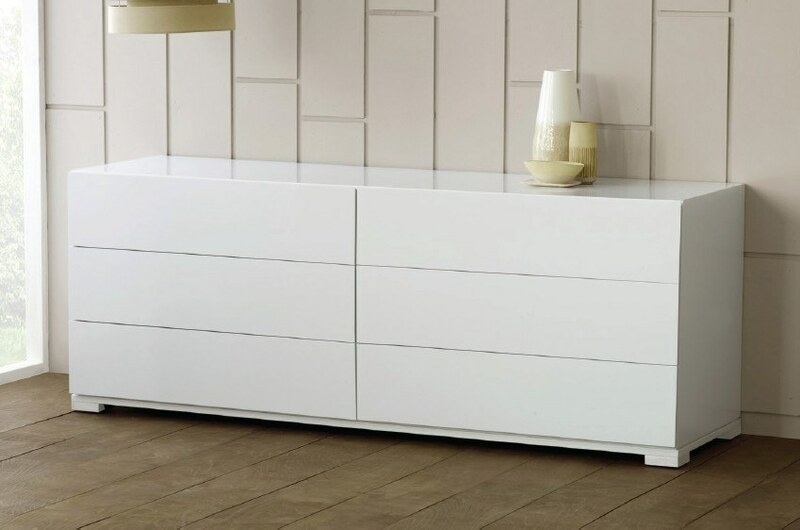 This white lacquer chest of drawers will sure integrate perfectly in your setting. Luxurious, yet simple. 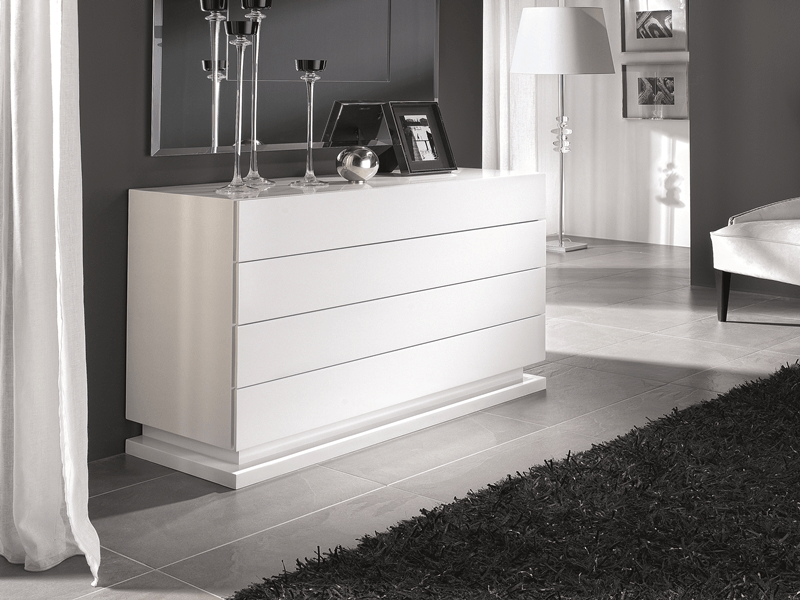 A chest of drawers with a minimalist design can complement both the bedroom and the living room. Thanks to its contemporary look it will blend right in. This white delight steps it up and comes with an engaging design. Give it the right place and it will steal the spotlight with its rhythm, capturing the eye’s attention and calling for a closer exploration. 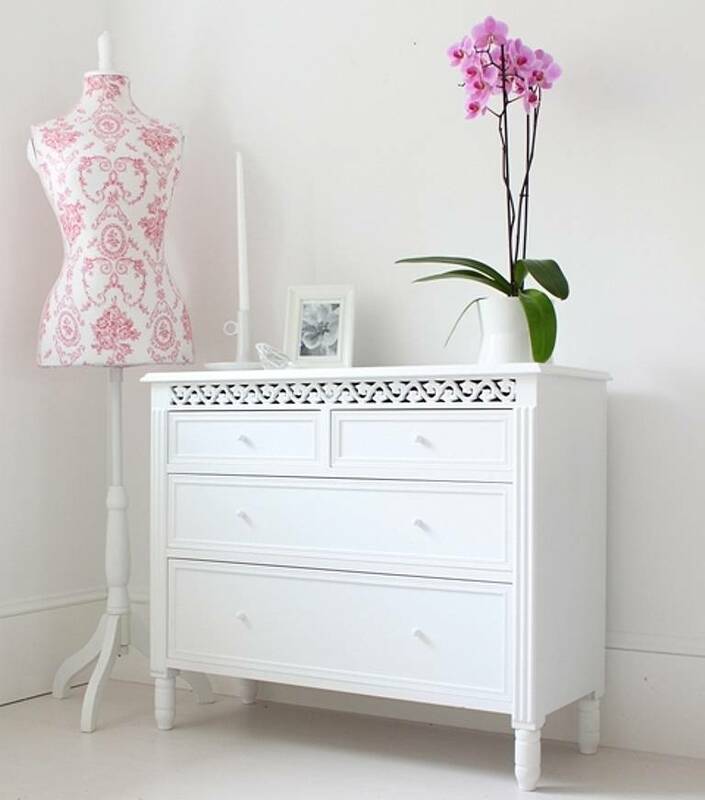 If corners don’t appeal to your style, check out this lovely white lacquer chest of drawers. 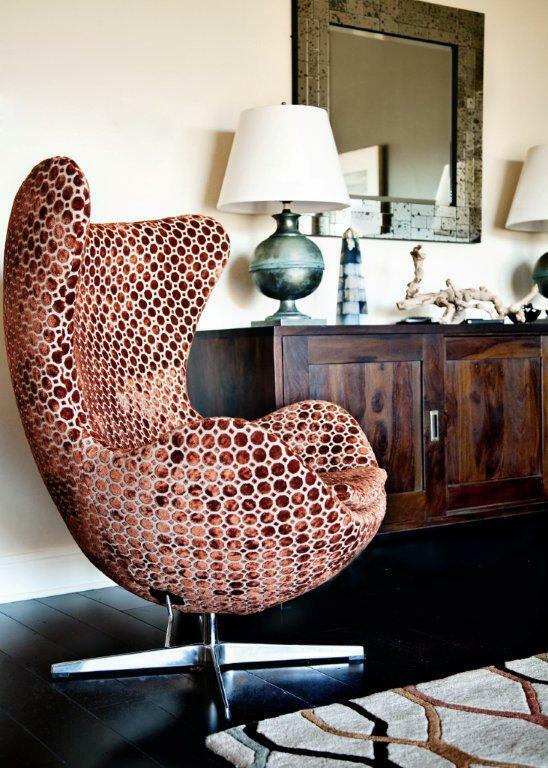 The fluidity of its design attracts. It’s both simple and sophisticated at the same time. 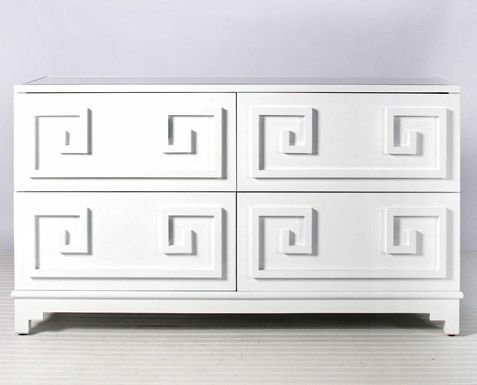 This white lacquer chest of drawers presents a strong symmetry given by its geometric elements. 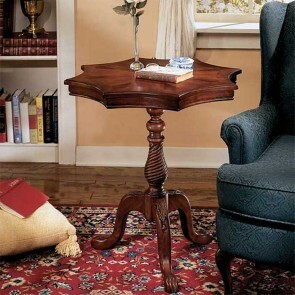 As symmetry is pleasant for the eye, so it this lovely piece of furniture. 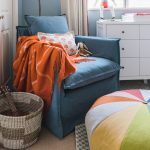 It can complement your bedroom or living room’s design perfectly. A combination of intricate carvings and striking contrast makes this white lacquer chest of drawers a delight to visually explore. 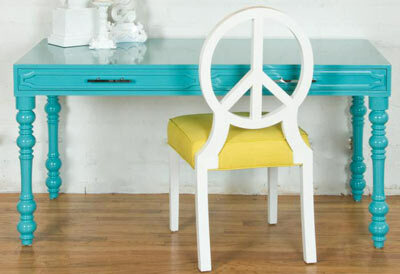 It will work wonders in both modern and vintage décors. 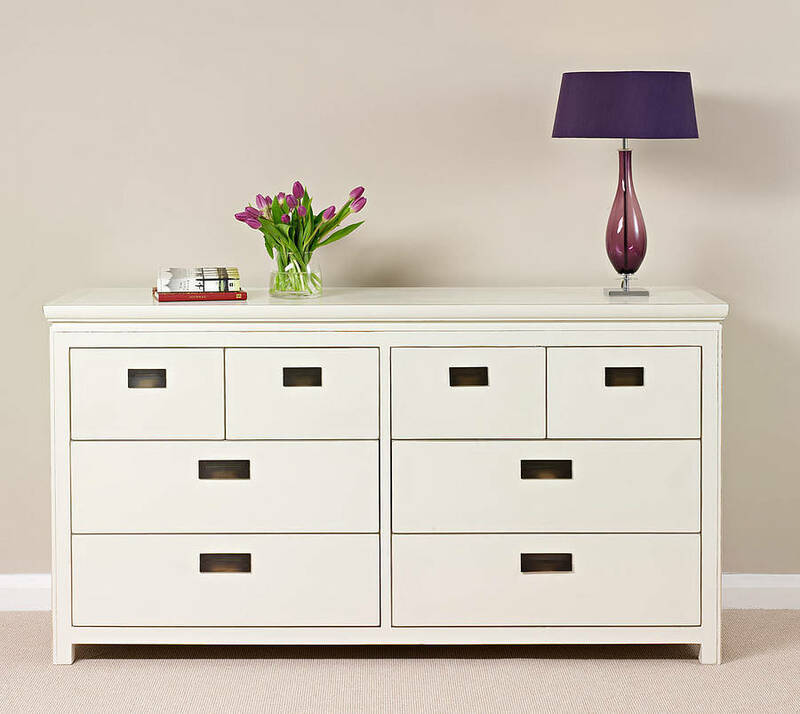 Choose a white chest of drawers. “White is ethereal. There’s a purity to it, it makes things look elevated in a way. There’s a whole palette of white.”-Jonathan Milne. White is both contemporary and vintage. What type of chest drawer do you have?